This is the fourth part of the series “On Letting Go and Transforming From Within”. In the first, second and third part, we discovered the concept of paradigms, as well as how to let go of what holds us back and gives us the feeling of not being good enough. In this part, we are going to get familiar with the sub- and unconscious parts of our mind to understand where feelings of lack and not being good enough come from. After doing the release meditation from the previous part, you now have seen for yourself that it is possible to let go what you are consciously aware of and that abundance is actually our true default state. However, you might also realize that the feeling of lightness and relief is not permanent, that the old beliefs, thought patterns, assumptions and thoughts are coming back. The reason is that releases that happen on a conscious level, don’t affect the subconscious mind. So to permanently drop the paradigm of scarcity, it has to be let go of subconsciously as well. 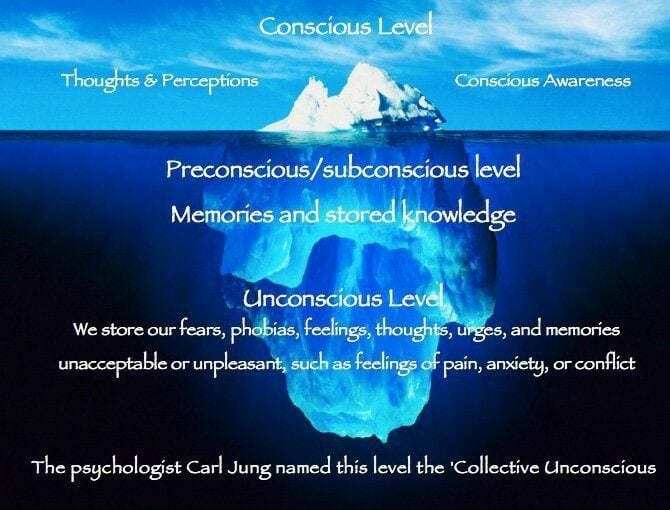 To explain the difference between the conscious and the sub- and unconscious parts of the mind, the analogy of an iceberg is commonly used. Similar to an iceberg, the amount of information held by our mind that we are consciously aware of is just a small fraction. The biggest part lies on a subconscious and unconscious level. 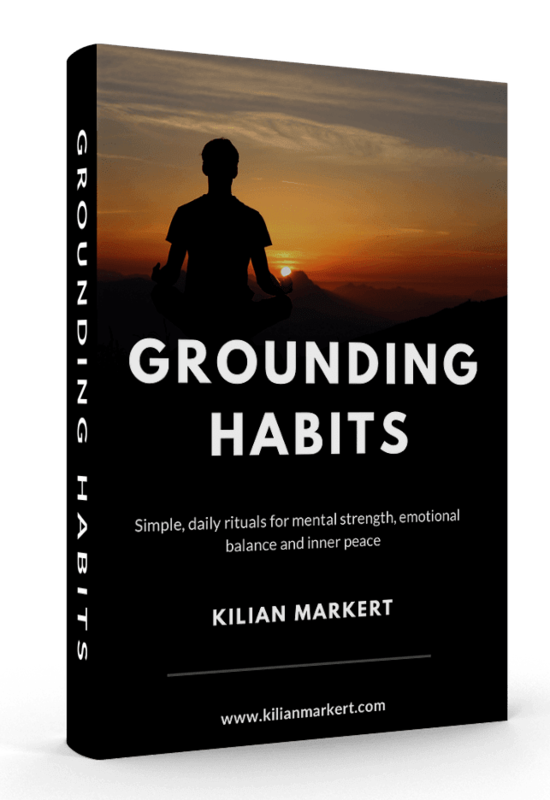 This is where our habits, impulses, experiences, beliefs, drives and self-image, but also more unconscious emotions like trauma, unresolved issues, shame and guilt are stored. How did these things get into our subconscious mind? During our upbringing, especially in the first seven years, we absorb new information like a sponge and accept most of it as true without questioning it, especially what we learn from our parents. As children, we are longing for recognition, love and attention. Therefore we label everything what gets us towards that as good and what denies us that as bad, even if it means to label parts of ourselves as bad. Experiences of rejection and abandonment, as well as a lack of recognition, attention and love, can lead to the blind adoption of false beliefs about our personality, the formation of trauma and a negative self-image. And it is especially the lack of being loved unconditionally that results in the limiting belief of not being good enough and that our self-worth depends on the approval of others. But also experiences that at the time were traumatic to us lay in the unconscious part of our mind. This could be laughing, speaking up for and expressing yourself or caring about others. Even though we now objectively see them as good, we have unconsciously labeled them as bad, if we have had a traumatic experience connected to them, for example, if we have been shamed or punished for it. In the same way emotions can be repressed too, whether it is anger, jealousy, grief, showing feelings, or avoiding confrontation. As a child it is very likely to be shamed for expressing or doing one of these things, therefore we all experiences trauma in some form or another. These experiences can feel so overwhelming at the time, that the feeling is close to facing the risk of death. To protect you, your mind tries to disown these experiences, label them as unacceptable, bad and not a part of you anymore. It then repressed these experiences into the unconscious part of your mind, to avoid having to think about them consciously and face the pain again. From this place, these experiences build your belief systems and unconsciously influence your behavior, your feelings and what you seem as acceptable. This is why the paradigm of scarcity, of not being good enough, is unconsciously accepted as your foundation and truth. Eckhart Tolle calls this collection of repressed experiences and beliefs the pain body. If you try to escape this pain body, you again reinforce it because you disown and resist it, just as with the scarcity paradigm in general. Therefore, hiding and suppressing this pain body is never the solution. You rather have to bring the suppressed parts of you up from your subconscious, use your awareness to shed light on them and by that allow them to let go. What is it that we do instead? We escape these experiences, try to hide and disown them and rather inflate our ego by accumulating external things to cover up what we want to hide. This is why we might still not feel deserving even though on the outside it all looks great. Real change has to happen on the subconscious level, conscious willpower and effort are not enough if they go against your self-image on a subconscious level. True abundance and transformation are realized by dissolving the ego and unifying the acceptable parts of yourself with the parts that you deem as unacceptable of your unconscious mind. This is it what makes you whole, grounded, confident and comfortable in your own skin. This is the very foundation for total bliss and optimism in life. By using the three-step process from the previous part on a subconscious level, you will shed awareness on these experiences that lay in your unconscious and by that be able to accept them, bring them up and let them go. They will remain in your memory as pieces of information, but the emotional charge will be gone, they won’t have power over you and won’t subconsciously influence your behavior anymore. It’s certainly not fun and it’s also not comfortable, but you need to get to the source. Realize that escaping and hiding it might give you short-term relief, but you need to face the pain and discomfort to let go of it permanently, so it won’t influence your whole life anymore. Imagine you have a thorn buried in your skin. If you don’t remove it, because you’re scared of the pain, it will encapsulate, remain there and continue to give you pain if you or somebody else touches it. What you can then do is to design your whole life around that thorn in your skin and make sure nobody touches it and that you always avoid it. Or you decide to face it, open the wound, suffer a lot of pain, but remove the thorn once and for all. It’s the same with past painful experiences. You could try to hide them, avoid them or design your whole life around them. Or you face them and let them go. This concludes the fourth part of the series “On Letting Go and Transforming From Within”. Head over to the fifth and final part, where we will dive into the practical steps of permanently letting go of repressed experiences.